At this historic theater where Abraham Lincoln was assassinated in 1865, folks say John Wilkes Booth’s footsteps still can be heard running up the back stairs to the Presidential Box. I’ve been to Ford’s Theater 2 times now, and each time I’ve been there, I’ve sensed the presence of ghosts. I’m a medium in training myself, and I’ve been able to make contact with an unknown man, middle aged, who was quite quiet and reserved, and a rather forward and flirty Lewis Powell. The place isn’t haunted in a bad sense, but there are ghosts there. I would suggest bringing a necklace down the basement museum and try to conduct a pendulum-esqe method of contact, where you would ask a yes o no question and then the necklace would swing clockwise for yes, and counterclockwise for no. This can be done discreetly, so that’s why I suggest it. Be prepared to be hit on by Lewis if you’re a woman though, he’s a bit of a flirt. The ghosts there are not harmful, they’re quite friendly actually and I know that Lewis has told me that he feels sorry for what he did. Anyways, have fun! 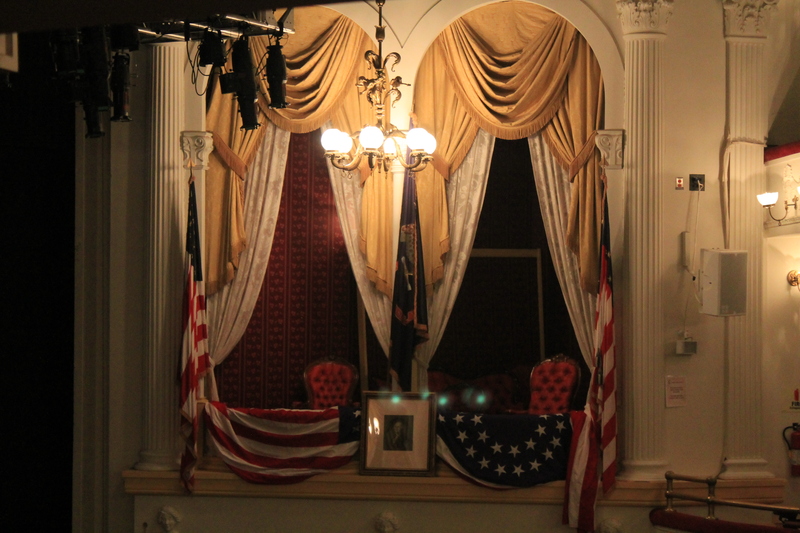 I recently toured Ford’s Theatre. My unexplained experience happened in the theatre lobby. It was a warm summer day. My husband and I had completed our tour and were ready to leave. As I stood in the lobby, I felt an icy cold blast move through me. I was suddenly freezing cold and my hands felt like ice. I asked my husband (he is in the building industry) if he could see an air conditioning vent or something that might cause this. Nothing. I felt that I had to get outside and quickly because the chill was unbearable. As soon as I left the spot, I felt fine. Sorry, I was gone. I am back! Now, This place is Where honest Abe Died, [Was assassinated there] Like I said , He died. Long ago in about 1865. Which was over 100 years ago! 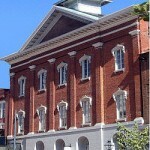 +Mimi: Fords theatre is haunted so that was probably it! Anyway, It was built in around 2 years BEFORE Abe Lincoln died. So I just went to Ford’s Theatre, thinking nothing of it. I took a picture and didn’t realize until I got home the spirit presence in it. I then researched different theories and was amazed.